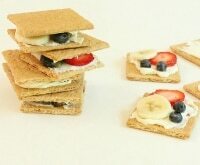 Looking for a fun, affordable, and healthy treat for your child’s next team meet up or sleepover? Make your own homemade fruit leather — it’s easier than you think! 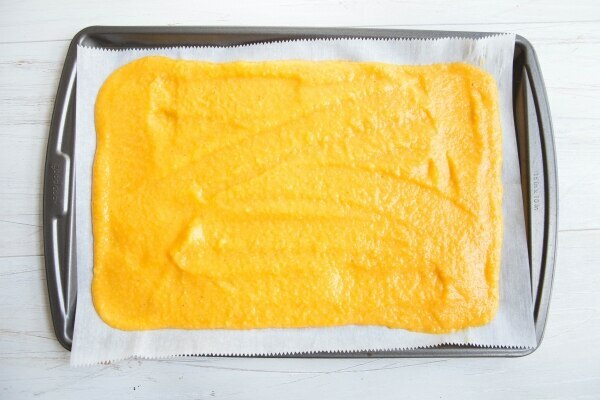 A perfect way to use up big batches of ripe (or overripe) fruit, homemade fruit leather takes just minutes to prep before being tucked into the oven overnight. 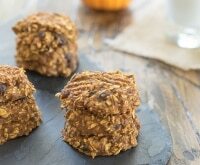 An awesome treat for halftime snacks, this recipe is also awesome for after-school snacks, makes affordable travel treats, and is also a great way to enjoy some all-natural post-workout energy. 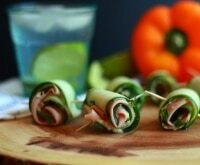 Hit the store and a box of fruit rolls can cost anywhere from 50 cents or more per piece. Check the back label and you’ll find most are full of hard-to-pronounce additives, too. But not homemade fruit leather! 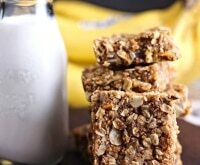 When you mix up your own at home, you need just three basic ingredients: fruit, honey or sugar, and lemon juice. It’s so simple and so easy! Here’s how to make your own fruit leather at home. 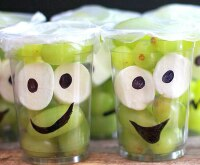 Need more ideas for kid-friendly snacks? 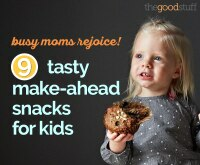 Try these peanut-free snacks, healthy snacks for picky eaters, and healthy after-school snacks for every day of the week. Start with pitted and peeled ripe fruit. Fresh or frozen works well for fruit leather. 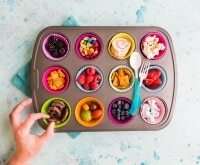 And, though I’m going to walk you through how to make a peach-mango flavor, you can easily swap in any number of other fruits to add your own flavor twist. 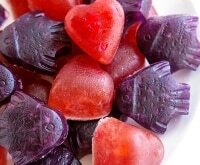 Berries, apples or applesauce, and melons all make delicious fruit leather! Once your fruit is ready, simply place it in a blender or food processor until pureed. Add the honey or sugar and lemon juice, and combine until smooth and well blended. Gently spread your fruit puree on a large, parchment-lined baking dish. A silicone spatula makes quick work of this task. Aim for a layer that’s about 1/4-inch to 1/2-inch thick. Set your oven to the lowest temperature and bake the fruit leather for 6-8 hours, or until it’s dried and no longer sticky. 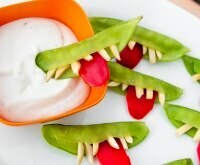 An easy way to do this is to prepare the puree at night, then let it bake as you sleep. Your fruit leather will be ready in the morning when you wake up! To store or share, simply roll up the dried fruit leather in strips of parchment paper, cut them into strips, and tie the rolls with a decorative string or cord. 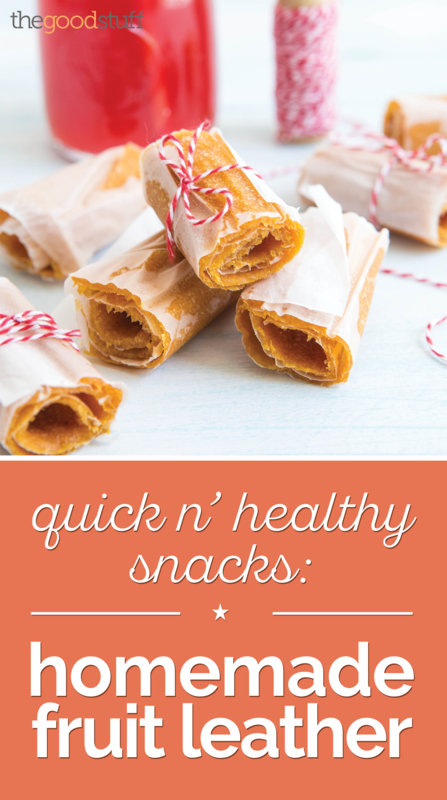 When it’s time to serve, just peel off the no-stick parchment paper and enjoy! Tie individual rolls with ribbon or twine that matches your team colors. 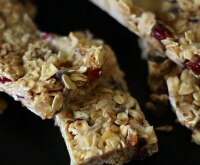 Pack plastic bags with fruit leather, a granola bar, and a pouch drink. Personalize each baggie by writing team names on them with a permanent marker. 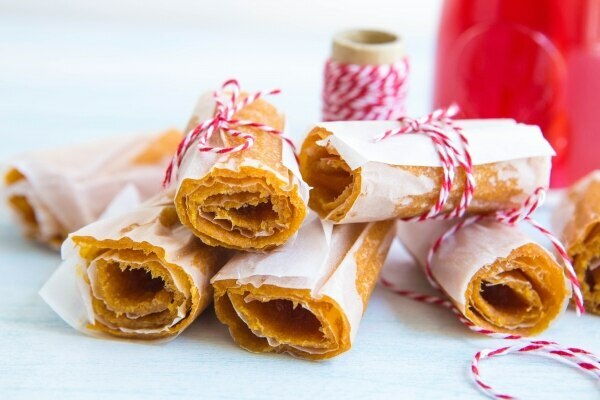 Wrap rolls of fruit leather in tissue paper, tying each end with a bow so it looks like a piece of candy. 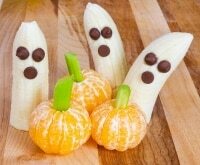 Use an edible marker to write notes on each strip of fruit leather before rolling them up. When team members unroll their fruit leather, they’ll find motivating quips like “Go Team!” and “You’re Amazing” on their treats! Heat oven to the lowest possible temperature (140-170°F). Line a large baking pan with parchment paper. 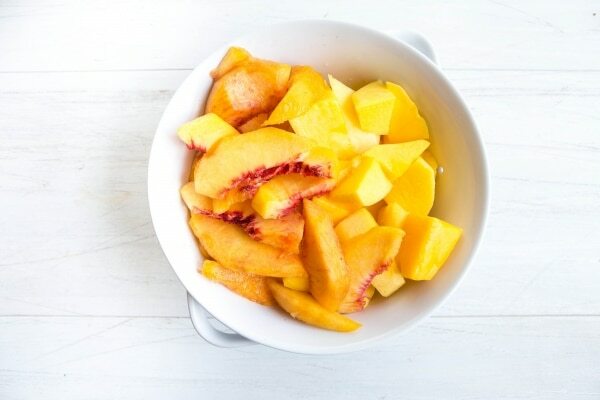 Place peaches and mangoes, honey or sugar, and lemon juice in a blender or food processor; cover and blend until smooth. 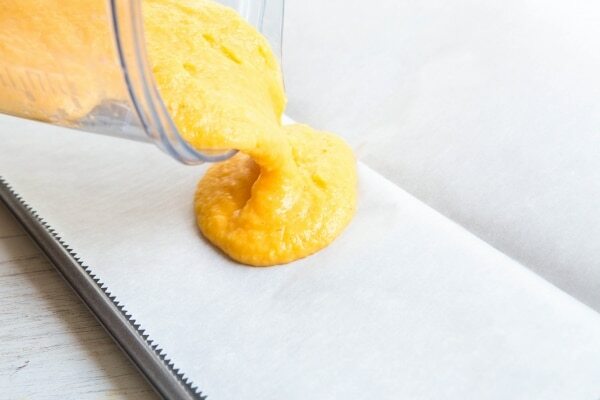 Pour puree onto prepared baking pan; use a spatula to evenly spread until 1/4- to 1/2-inch thick. 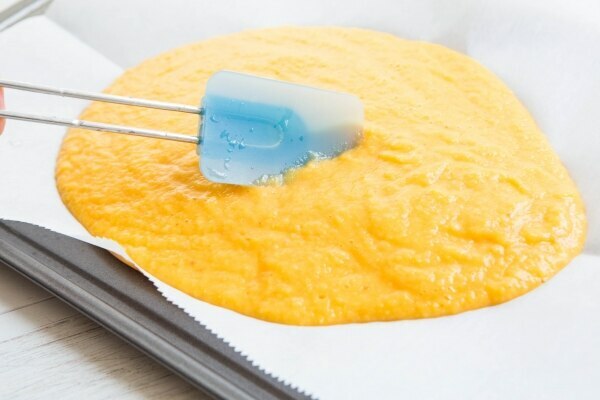 Bake 6 to 8 hours or until mixture is no longer sticky. Remove from oven; roll up paper and fruit leather, then cut into strips. Store in an airtight container for up to 1 week.